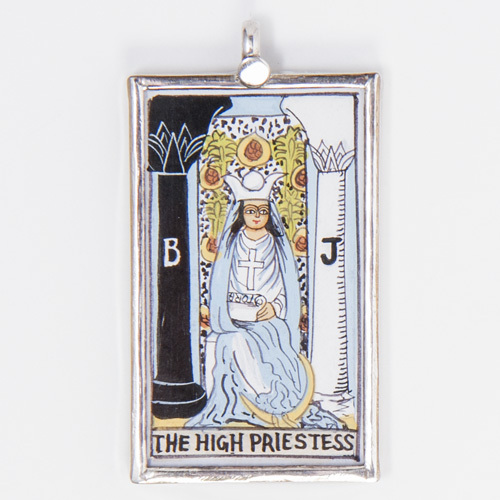 This stunning and unique pendant depicting The Empress Tarot card, is HAND-PAINTED by artisans and set in hand-worked sterling silver with a glass cover protecting the painting. 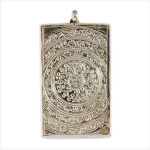 It is stamped 92.5 for sterling silver on the back. 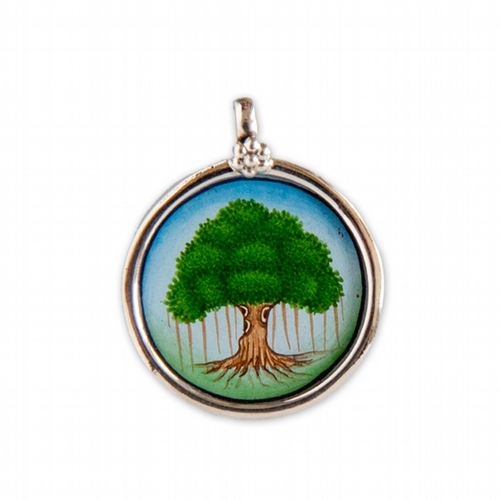 This large pendant measures 3 cm x 5.4 cm in length (with loop), 4mm thick, weight 11 gms. 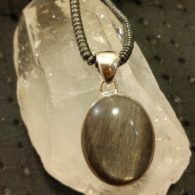 It wears beautifully on both a short or long chain or leather thong (not included). 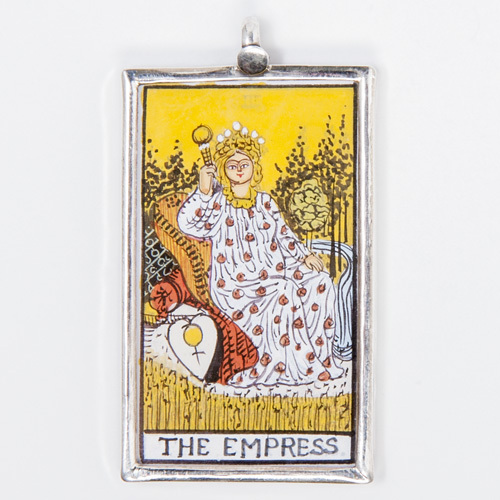 The Empress is associated with the planet VENUS. 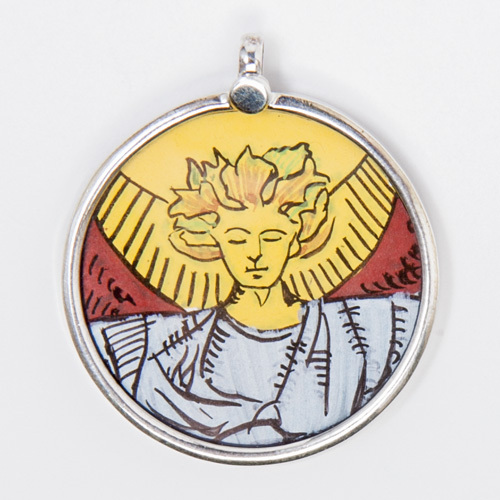 Invoke the power of love, sensuality and feminine power when you wear this little work of art! 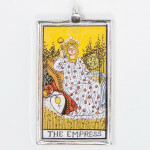 The Empress represents love, abundance and passion. 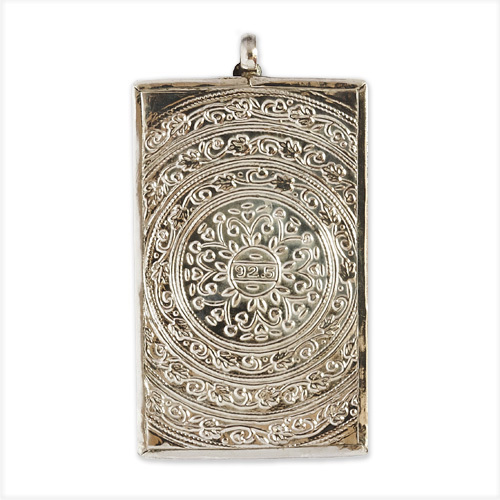 This beautiful pendant can inspire you to embrace your feminine side, love deeply, and enjoy the pleasures of life to the fullest! 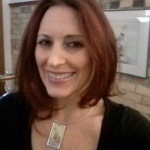 Be the first to review “The Empress Painted Pendant” Click here to cancel reply.